Here is my newest pattern designed for Timeless Treasures and their batiks collection Tonga Passion Fruit by Judy and Judel Niemeyer. It is called Stroll in Venice - you can download it for free from their site. Stroll in Venice is reminiscent of Italian tiles with surprising designs. 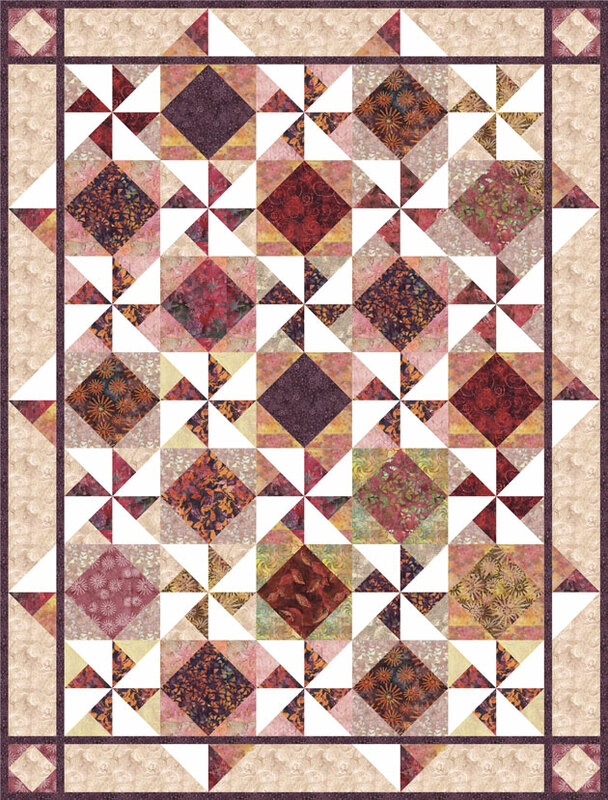 The Diamond in the Square blocks feature my favorite fabrics from that collection. Timeless Treasures batiks have amazing texture and colors, and I often cringe when my rotary cutter gets closer to them. Yet, the pieced blocks take a life of their own so I forgive myself for cutting into them. Check out their site for more free patterns and inspiration. In the meantime, I wish you a restful weekend. That is really pretty. There is so much movement in the design. Thank you! The fabrics are amazing to work with, too! I really like this one! I'm heading over to download it! Thanks!